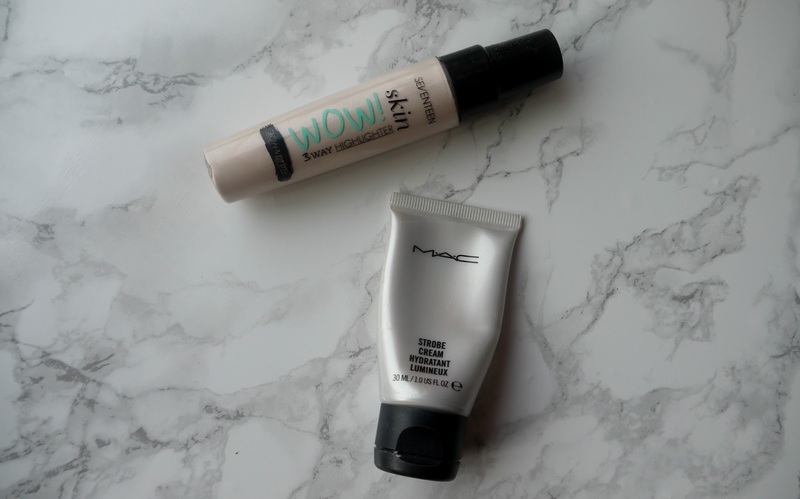 Highlighting primers Seventeen Skin wow and Mac Strobe cream. Seventeen Skin wow primer £5.99 - This is a three way highlighter, it can be used alone as a primer, mixed in with a tinted moisturiser or foundation or added simply just to your cheeks for a healthy glow. 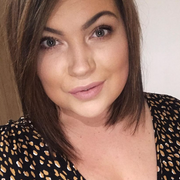 I love this in spring/summer under neath my make up to make my skin look really dewy and healthy, it gives a subtle glow through my foundation and hides my tired face. So affordable, I love the packaging with the little pump it helps on no waste of the product and sleek enough to fit in any make up bag. 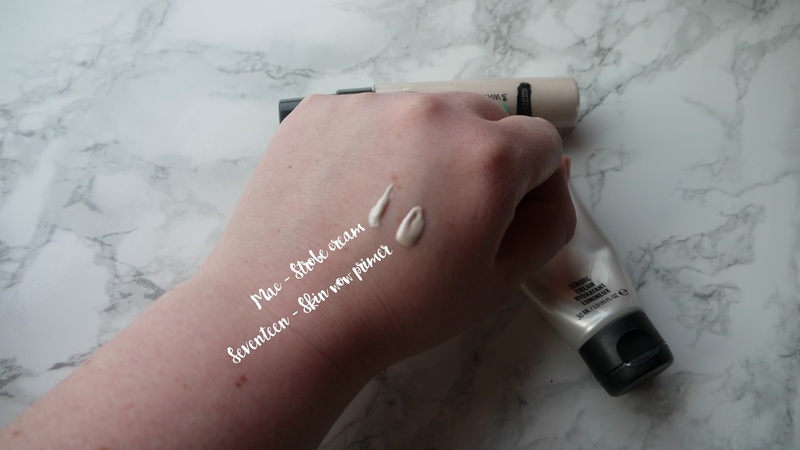 Mac Strobe cream travel size £10 - Again like the seventeen it makes my face feel amazing, hides all my tiredness with the vitamin zap and green tea to awaken my skin, luxurious packaging and handy to fit in your make up bag. It makes my skin feel very hydrated and dries instantly so no waiting around for ages before applying your make up so perfect if your in a rush for work. If I'm going for a no make up make up kind of day I mix this with a light foundation and I'm good to go looking bright eyes and bushy tailed. Although the colour isn't the same it gives just about the same effect on the face! Winner - Seventeen purely because its cheaper and does the same job! 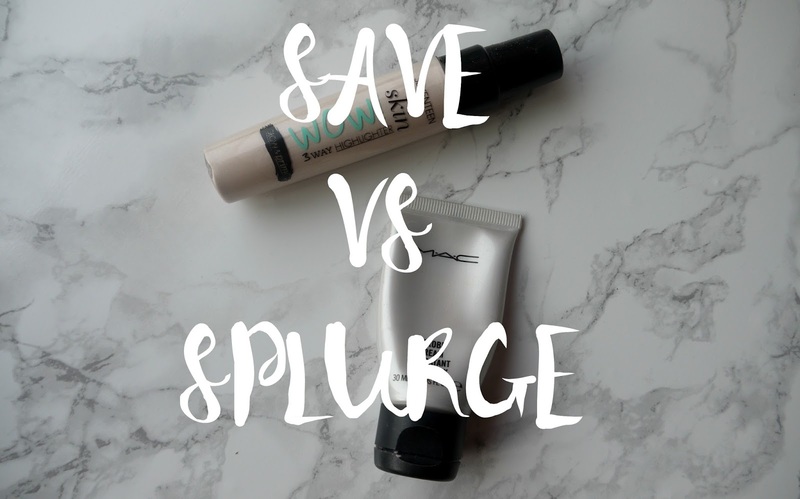 I love Mac but for half the price I would much rather repurchase the Seventeen one rather than the Mac. Save wins again this weekend. What is your favourite priming highlighter? The Seventeen option actually sounds good! Freedom do a strobing cream which I'm interested to see! I have the Seventeen Skin Wow and mix it in with my foundation all the time just to add that little bit of glow to my skin. I'm really enjoying using it and for the price you can't go wrong. Plus I haven't discovered that many Seventeen products that I've loved but this one is a different story. Hmmm. I've never heard of Seventeen. I'm guessing they might be a UK/Europe-only brand? At least you found a dupe!! ooo i really want to try the seventeen primer as i have been eyeing up strobe cream for so long!